Since global warming is the primary environment-related motivation of the population control movement, pro-lifers should be familiar with the principle. If the thesis that human activity causes global warming is disproven, the population control movement will lose one of its primary justifications: That there are too many people in the world. This is behavior associated with people who are afraid of open discussion and debate, and for good reason. Neither the science nor the data support them. 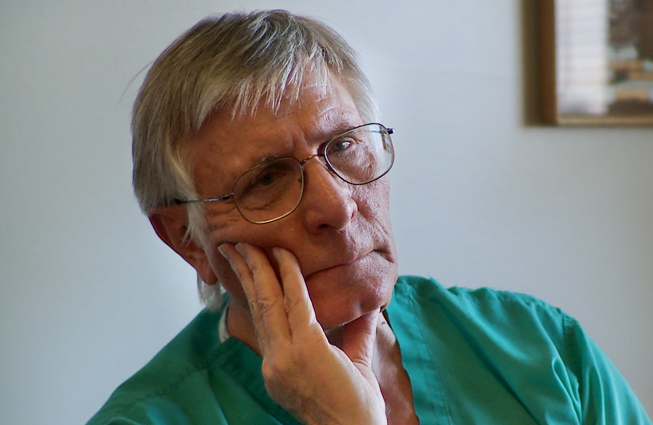 Most people, before facing a major surgery, want a second and even a third opinion. But environmentalists and government officials seem perfectly willing to perform major surgery on the world’s economy while refusing to listen to any opinions other than their own — a certain recipe for disaster. Centuries of history have proven that economic growth — always powered by the expansion of available energy — leads to wealth that produces societies whose people can pay more attention to working for a clean environment and less attention to just struggling for survival. Advanced societies generally possess cleaner air and water, are healthier, and use natural resources more efficiently. National poverty is strongly correlated with environmental degradation; see Haiti’s example. Population control programs short-circuit the process of economic development by suppressing population, and burdensome environmental regulations and punitive tax rates strangle energy growth. Combined, they deprive poor nations of the two absolutely essential ingredients they need for success: people and energy. The apparently illogical behavior of environmentalists can be explained by viewing them as members of a religion we could call “Climatism.” This faith has a god (Gaia, the Earth Mother, etc. ), a pope (Al Gore), a priesthood with religious orders (PETA, the Sierra Club, the Environmental Defense Fund, and others), dogmas that must not be questioned (population control and global warming), rituals (recycling and Chevy Volts), feast days (Earth Day celebrations), sacraments (sterilization and abortion), and even indulgences for “sins” such as driving a big SUV (carbon offsets). This religion also features excommunication of apostates and persecution of contrasting beliefs (climate change alarmists have said that “deniers” are morally equivalent to slave owners, Holocaust deniers, and racists). This faith even has a Devil called “Capitalism,” and it demands not only repentance from carbon-based sins, but an Inquisition against those who commit it. Like any other religion, it also has its hypocrites, including environmentalist John Travolta, who often flies his personal four-engine Boeing 707 long distances by himself or with one or two other people. Its fuel economy is about 440 yards per gallon, or 75 times worse than the gas-guzzling SUVs he condemns. And, of course, the “Climatists” are very selective about what environmental damages they choose to emphasize. No environmental group, for instance, has expressed the slightest concern about the tons of contraceptive hormones in our rivers and streams, which are threatening the continued survival of many species of frogs, otters, and fish, including the rainbow trout. Strangely, Al Gore and others have declared global warming to be a “moral matter,” and that sweeping legislation and stringent enforcement is the only solution to the problem. 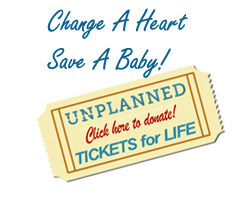 Yet the same people claim that “you can’t legislate morality” when it comes to abortion. In summary, saying that climate science is “settled” is like demanding what religions demand — that you have faith. This is a very curious attitude indeed among those who have no use for “traditional religion” and who consider themselves to be rationalists. The biggest failure of global warming theology is that its science is “settled” dogma; that is itself unscientific and an obvious gross violation of the most basic principles the scientific method. This is a grave error sufficient to render all of its conclusions invalid. Competent scientific research starts with study and data collection, from which a hypothesis (theory) is formed. Then the scientists formulate predictions to test the hypothesis. If the predictions are repeatedly accurate, the hypothesis is proven. By definition, it is impossible to prove the hypothesis of global warming because the world is simply too large and complicated to test or predict by any known model. Global warming is influenced by a dozen major factors, whose trends cannot even be accurately predicted in isolation. These factors include volcanic activity, sunspots and flares, changes in deep ocean currents, atmospheric reflectivity and water content, human activity, and even animal behavior. How they interact in the environment simply cannot be predicted. Computer modeling must take into account assumptions about the future values of many variables. Those who study climate change tend to use assumptions that are favorable to their desired conclusions, that is, a human population increasing much faster than it actually is. This principle was recently confirmed when global warming simply stopped 15 years ago. Every model used by global warming advocates predicted a smooth and unbroken increase in the world’s temperature, but since 1998, the Earth has warmed only 0.05 degrees Celsius — a statistically insignificant increase, despite steadily rising levels of greenhouse gases. And climate change scientists don’t have a clue why this has happened. Climatists even act dishonestly in order to keep people anxious. Three years ago, the Climatic Research Unit at the University of East Anglia in Britain was caught green-handed by hackers who found that they modified, forged, and withheld data, changed study results, censored dissenting opinions, and even plotted to have one influential opponent fired from his job. Nature rarely acts in a straight line. Throughout recorded history, and undoubtedly long before it, the Earth has been warming and cooling in a cyclic pattern. During the Medieval Warming Period, temperatures rose faster than they have since the beginning of the 20th century — 1 to 3 degrees Centigrade. Since the birth of Christ, the Earth’s surface temperatures have fluctuated by 9 to 15 degrees Fahrenheit. In fact, compared to the past 1,500 years, the 20th century has actually been on the cool side. It was warmer in 1100 BC, the time of the Hebrew Exodus from Egypt, than it is now. We can safely say that the Hebrews did not drive a whole lot of gas-guzzling SUVs when they escaped Pharaoh’s clutches. Climatology is a “frontier science.” We cannot know what the future holds, and must not act as if we do — especially when we have the power to influence the lives of millions of other people. But we do know that there is at least one thing that is melting with alarming speed: the credibility of global-warming alarmists. 2019 The Wanderer Printing Co. Doesn't she realize the Democrats have cornered the market on creepiness. Is this the same "Father" James Martin whose almost every utterance jeopardizes the meaning of the word Catholic. 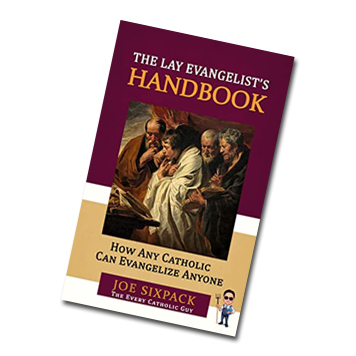 One Catholic's experience with a traditionalist group in a local parish: "Worse, as this shadow church grows, the unity implied in the very word 'catholic' is jeopardized." "Post-Christian America, in many ways, is beginning to mirror what we were once taught that the pre-Christian Roman Empire looked like. Indeed, if the mayor’s lifestyle is moral, Christianity got it wrong for 20 centuries"
Typical progressive doesn't believe his own BS enough to take himself out of the equation but will kill others to "clean up the planet". Keep your moral depravity to yourselves. Denying children a mother is child abuse let alone two "dads". Children are not pets or props. Good news! Heard from Raymond De Sousa today. He had successful surgery. Thank you for all your wonderful kindness and prayers! Most Popular Today . . . Welcome to our website. 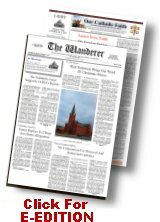 Readers who are familiar with The Wanderer know we have been providing Catholic news and orthodox commentary for 150 years in our weekly print edition. Our daily version offers only some of what we publish weekly in print. To take advantage of everything The Wanderer publishes, we encourage you to subscribe to our flagship weekly print edition, which is mailed every Friday or, if you want to view it in its entirety online, you can subscribe to the E-edition, which is a replica of the print edition. Our daily edition includes: a selection of material from recent issues of our print edition, news stories updated daily from renowned news sources, access to archives from The Wanderer from the past 10 years, available at a minimum charge (this will be expanded as time goes on). 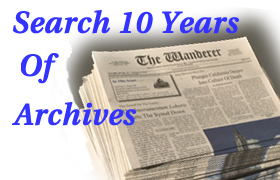 Also: regularly updated features where we go back in time and highlight various columns and news items covered in The Wanderer over the past 150 years. And: a comments section in which your remarks are encouraged, both good and bad, including suggestions. We encourage you to become a daily visitor to our site. If you appreciate our site, tell your friends. 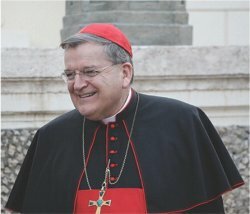 As Catholics we must band together to rediscover our faith and share it with the world if we are to effectively counter a society whose moral culture seems to have no boundaries and a government whose rapidly extending reach threatens to extinguish the rights of people of faith to practice their religion (witness the HHS mandate). Now more than ever, vehicles like The Wanderer are needed for clarification and guidance on the issues of the day. Catholic, conservative, orthodox, and loyal to the Magisterium have been this journal’s hallmarks for five generations. God willing, our message will continue well into this century and beyond. President, The Wanderer Printing Co.
April 23, 2019 (LifeSiteNews) — Two respected cardinals known for their defense of the Catholic faith spoke out about the horrific Easter Sunday bomb attacks in Sri Lanka. Cardinal Robert Sarah condemned “barbaric Islamist violence” on Monday in a tweet and Cardinal Joseph Zen tweeted that the attacks are a call to prayer for all persecuted Christians.